• From October till November participants of the Moscow International Children Festival Big Break, which was held in the Moscow Art Theatre Studio. 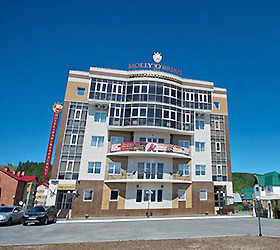 The participants resided in the Kosmos Hotel. • Russian Piknik rock-group participants, who met their fans on the 1st of October in Moscow Estrada Theatre. • The Famous stage manager and rock musician Emir Kusturica, who met his fans at the 4th of October in The Moscow B1 Maximum Club. The musician stayed in the Baltshug Kempinski Moscow hotel. • Acid-jazz trio Red Snapper, whose concert took place on the 5th of October. The performers resided in the Courtyard by Marriott Moscow City Center hotel. • Over the Rainbow rock-band, which appeared on the 6th of October for their fans in St.Petersburg on GlavClub Stage. Musicians stayed in Novotel St.Petersburg hotel. • Bosa-nova style Cover versions of punk-rock, post-punk, and new-wave compositions singers Nouvelle Vague, who performed on the 7th of October in St.Petersburg in the Zal Ozhidaniya Club. 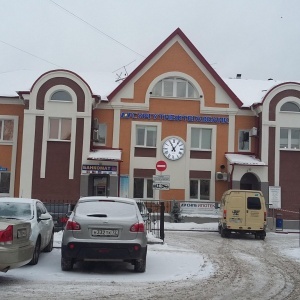 The performers resided in the Oktyabrskaya hotel. • The Danish serf-rock The Tremolo Beer Gut singers, who appeared on the Moscow Gogol’ Club stage on the 9th of November. 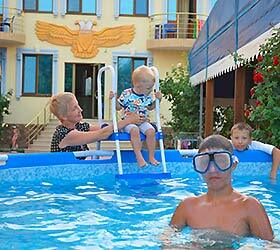 The Beach Boys followers stayed in the Hilton Moscow Leningradskaya hotel. • The punk-rock musicians of Korol I Shut band, who performed on the 9th of October in the MAI Moscow Culture Centre. 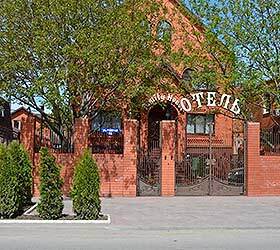 The singers resided in the Ohotnik hotel. • The Ukrainian hip-hop Bumboks band, which appeared on the 9th of October in the St.Petersburg Zal Ozhidaniya Club. 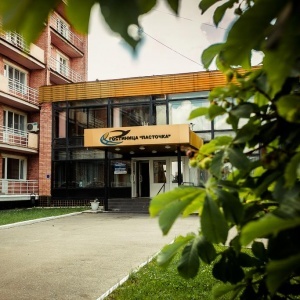 The performers stayed in the Holiday Inn St.Petersburg - Moskovskye Vorota hotel. • The new Russian rock-group U-Piter, which performed on the 10th of October in St.Petersburg in Octyabrskiy Concert Hall. 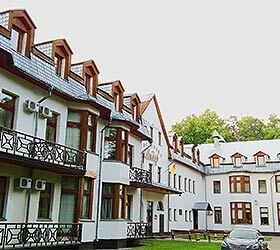 Vyatcheslav Butusov resided in the Helvetia Hotel & Suites with his freiends. • One of the best and the most influential keyboard players in rock music John Lord (Artwoods, Flower Pot Men, Deep Purple, Paice Ashton & Lord, Whitesnake), who met his fans in St.Petersburg on the Ice Sports Palace stage. The musician stayed in the Grand Hotel Emerald. • Participants of the Table Tennis Competitions for Mayor Cup participants, which took place in the Moscow UZS Druzhba of Luzhniki Olimpic Sports Complex. 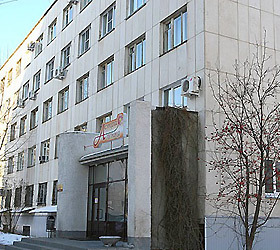 Sportsmen resided in the Radysson Slavyanskaya Hotel and Business Centre. • Boris Moiseev dance collective participants, who performed on the 15th of October in St.Petersburg on the Octiabrsky Concert Hall stage. 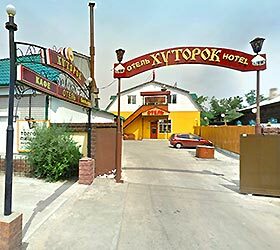 The dancers stayed in the Oktiabrskaya hotel. • The Shanson Goda Award laureate Andrey Bandera, who sang his own songs on the 16th of October in St.Petersburg on the Octiabrsky Concert Hall stage. 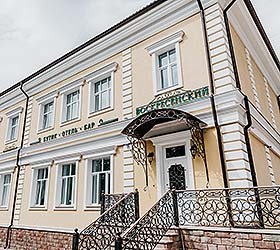 Singer resided in the Octiabrskaya hotel. • The Swedish gothic-metal band Lacrimosa, which met its fans on the 17th of October in the Moscow One Rock Club. 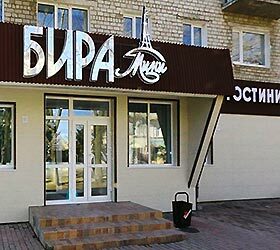 The musicians stayed in the Borodino Business hotel. • The Russian Noise MC rap singer with his band, who met with rap fans on the 17th of October in St.Petersburg on the GlavClub stage. 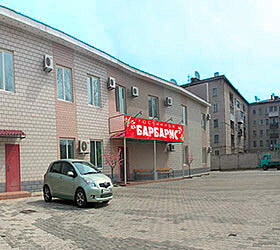 The young people resided in the Moscow hotel. • The famous French actress and singer Patricia Kaas, whose concert took place on the 26th of October in St.Petersburg on the Octiabrsky Concert Hall stage. She stayed in the Taleon Imperial Hotel. • Avowed mother of punk-rock music Nina Hagen, who performed on the 21st of October in Moscow B1 Maximum Club. Singer resided in the Baltschug Kempinski Moscow hotel. • British hard-rock band Sweet, which concert took place on the 21st of October in St.Petersburg on the Octiabrsky Concert Hall stage. 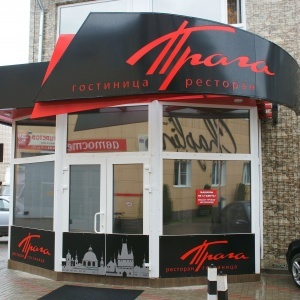 The musicians stayed in the Octiabrskaya hotel. • The Russian rap-band Bad Balance, which participants met their fans on the 22nd of October in St.Petersburg on the GlavKlub stage. The singers resided in the Novotel St.Petersburg Centre hotel. • The English pop singer Sophie Ellis-Bextor, whose concert took place on the 22nd of October in Moscow B1 Maximum Club. Singer stayed in the Sheraton Palace Hotel. • The Scottish rock-group Nazareth participants, who performed on the 22nd of October in Moscow Gorbunovs Culture House. 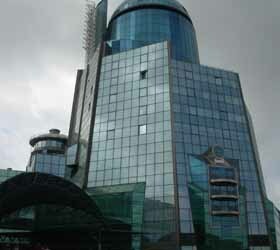 The musicians resided in the Courtyard by Marriott Moscow City Center hotel. • The American punk-rock band Rise Against, which concert took place on the 23rd of October in St.Petersburg on the GlavKlub stage. 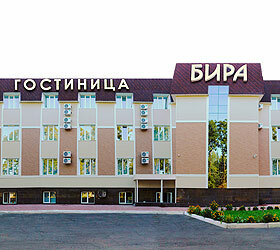 The young people stayed in the Novotel St.Petersburg Centre hotel. • The German death-metal band Die Apokalyptischen Reiter, which musicians met their fans on the 23rd of October in the Moscow Tochka Club. 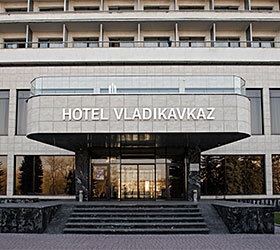 Singers resided in the Maxima Slavia hotel. • The Russian pop duet Chay Vdvoem, who performed on the 25th of October in the St.Petersburg Oktyabrsky Concert Hall. The executants stayed in the Nevsky Forum Hotel. • The Scottish rock-group Franz Ferdinand participants, who was meeting their fans from the 27th till the 30th of October in the Moscow B1 Maximum Club. Musicians resided in the Ritz-Carlton Moscow hotel. • The Children Choreographic Grand-Balet Studio participants, who took on the 27th of October place in Morozko play, which was held in the State Kinoakter theatre. The young dancers stayed in the Hilton Moscow Leningradskaya hotel. • The famous estrade singer Toto Kutunio, who performed on the 27th of October in the St.Petersburg Oktyabrsky Concert Hall. The singer resided in the Radison SAS Royal hotel. • The Participants of the RAMP Rock Festival, which was held on the 27th of October in the Moscow B1 Maximum Club Maximum Club. The musicians stayed in the Ibis Moscow Paveletskaya Hotel. • The German power-metal BrainStorm band, which concert took place on the 27th of October in Moscow B1Maxima Club. Musicians stayed in the Ibis Moscow Paveletskaya Hotel. • The Third Eastern Europe and Central Asia AIDS Conference (ЕЕСААС2009), which held in on the Moscow International Trade Centre. 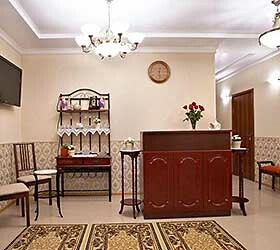 The guests of the capital resided in the Kosmos hotel. • Participants of the Pesni Nashego Goroda festival, which took place on the 29th of October in the St.Petersburg Jagger Club. 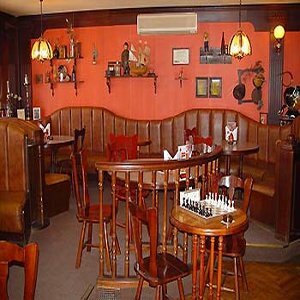 The executants stayed in the Moscow hotel.